Johannesburg to Mauritius flight bookings qualify to earn exclusive SouthAfrica.TO travel vouchers. Simply email cheapflights@southafrica.to to let us know how your flight went, and we'll send you vouchers. Pro tip for cheap flights: check airfares to and from Mauritius on Saturdays - it's the only day of the week that British Airways Comair flies the route. Ask for Help - we love Mauritius & are itching to assist you with flights & great accommodation! Hello/Bonjour (English & French are national languages of Mauritius). So, you want to book a cheap flight to Mauritius (the "honeymooners' paradise":) from Johannesburg. Use the airfare comparison tool on the left to contrast the airfares of SAA, BA Comair and Air Mauritius flights, and make the cheapest reservation from JNB to MRU (also shows 1-stop airlines). See Mauritius package holidays to get a quote for your flight, car rental and accommodation. We carried out a snapshot survey of JNB-MRU airfares, and then listed the airlines from the cheapest at the top. Air Mauritius flights were both cheapest and quickest. The scheduled duration of a direct non-stop flight from Johannesburg to Mauritius is just over 4 hours, and the shortest flight path is 3071km (over South Africa, Swaziland, Mozambique, Madagascar, Réunion and then Mauritius). 25 May 2016. SAA will up their Johannesburg - Mauritius flights to 11 per week from the 20th of July 2016. This means they will operate double daily flights on Wednesdays, Thursdays, Saturdays and Sundays (adding the second flight on Wednesdays). 22 May 2015. Air Mauritius announced that they are cancelling their morning flights from Johannesburg to Mauritius as it simply is not profitable. From the 21st of August, when the last flights will fly, they will be replacing weekly evening flights with a wide-bodied aircraft for increased capacity. 27 June 2014. Times of JNB-MRU with Air Mauritius are shifted. Flights now are scheduled to leave OR Tambo International Airport on Saturdays and Sundays at 09h40 and land in Mauritius at 15h40. 2 May 2013. The night flight from Joburg to Mauritius is cancelled by Air Mauritius, as we enter the low season. Flights from Mauritius are now scheduled to leave JNB at 13h35 & land in MRU at 19h35. Planes used are Airbus A340s & A319s. 9 Apr 2013. British Airways (Comair) passengers must check in at the domestic departures terminal of O.R. Tambo International Airport, for JNB-MRU flights. 7 January 2014 : To recount an experience we had with Air Madagascar. We booked a flight from Johannesburg to Mauritius with Air Madagascar, and the day before our flight they emailed us to let us know that they were delaying the JHB - Antananarivo leg by 6 hours. We then couldn't get hold of them at any of their phone numbers (it was a public holiday). Eventually on the morning of the flight we managed to get hold of Holiday Aviation, who changed our booking (for free) to a direct Johannesburg to Mauritius flight. So, it ended well, but be aware that especially on public holidays, it may not be easy to get hold of them. Gabriel visits Mauritius: "Right from the time I boarded Air Mauritius, to the time I landed, checked in at my hotel, participated in the workshop, went shopping and sight-seeing, the warm hospitality of the Mauritians was unmistakable... 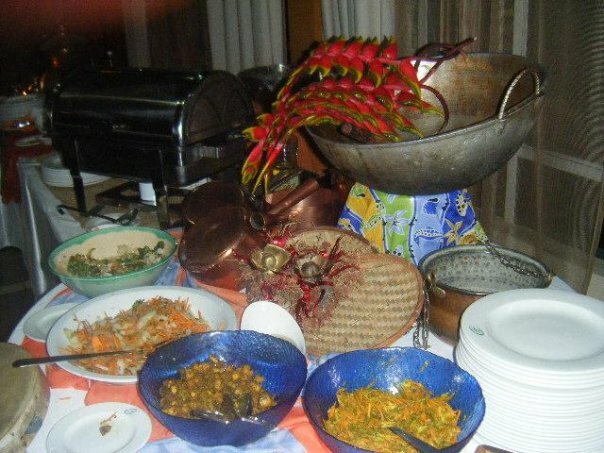 The tourism is high class but even for those with a low budget there is something for them... Mauritius has an interesting mix of Africans with European, Asian and local background. These live in peaceful co-existence. In addition, Christians, Moslems and Hindus also enjoy good relations with each other." "The ground crew informed me that pictures were not permitted there. Hah - weird. I wonder if it's just a rule to get people to board quicker instead of spending time taking pictures." "As we got on the plane, I was surprised to see a configuration of 2-3, rather than 2-2, on a 737. This was a big surprise to me. I was only familiar with two kinds of narrow body premium cabin configs. I figured an airline could either go 2-2 like the US airlines or they could go 3-3 with standard economy seating and block the middle seat for a table. In any case, it was refreshing to see this new take on the cabin config, and I think it worked out quite well! The seats were wider than economy seats, came with pillows, and had a decent amount of legroom." "The flight attendant came by to offer pre-departure beverages of our choice and pass out menus. I think printed menus are classy, and I wish more US carriers put these on their standard domestic first class flights." 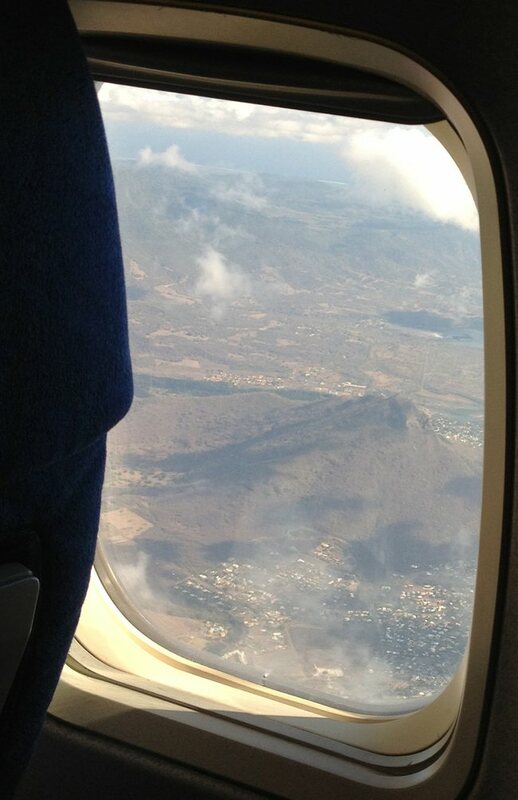 "Landing in Mauritius was quite beautiful. It somewhat reminded me of St. Kitts, as there were large, tall mountains scattered throughout the island. The water color was beautiful, and it looked like there was a reef or some kind of natural breakwater around the island; the waves were breaking some distance away from the island." Try staying at The Sands Resort, Flic & Flac. It has large air conditioned rooms with views of the sea. There's a gym for those so inclined. The lagoon in front of the hotel is perfect for those who are a little unsure of venturing out to sea. First & 2nd floor rooms have private balconies, whilst ground floor rooms have a terrace & small garden. Hat tip to Flightradar24.com for providing the map above.